Most of the Rivanna River is like this. It’s a fairly slow, shallow river. The bottom alternates between sandy and rocky portions without much mud or silt so the water is very clear. There aren’t many people on the river particularly during the week. 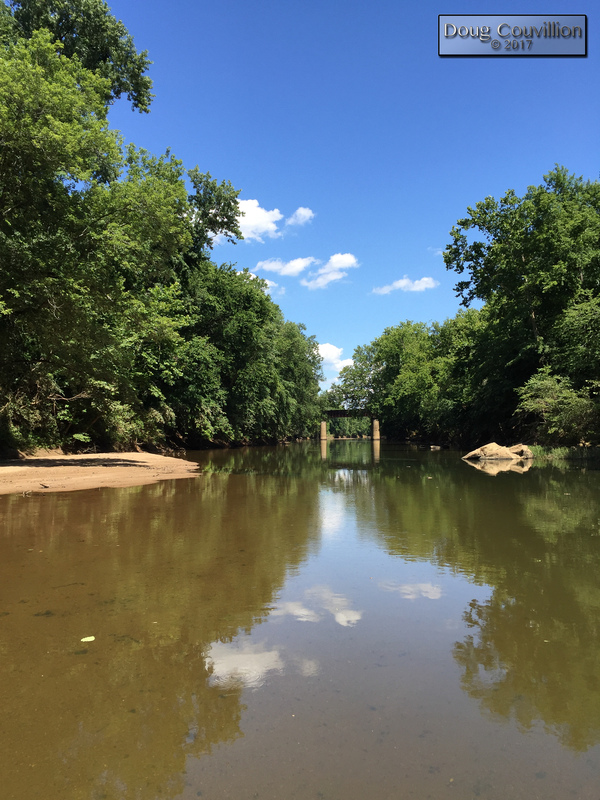 In June friends and I floated a 22 mile stretch of the Rivanna River from Charlottesville, VA to Columbia, VA. We took our time spending three nights camping on the banks and only saw a handful of other paddlers the entire four days. Most of the time we just enjoyed the peace and serenity of a slow, clear river gently pushing us toward our destination. I knew when I got home an unmowed lawn and a pile of unfinished work would be waiting for me but that didn’t matter. For four days I was off the grid, sleeping under the stars, reconnecting with nature and spending time with good friends. Hopefully, even if only for a minute or two, this photo will help you connect with a little peace and solitude.